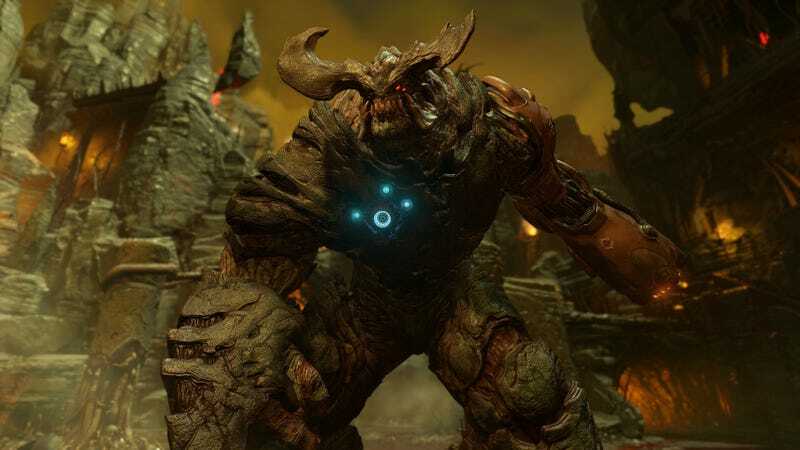 Don’t expect to see any early reviews for the new Doom. Publisher Bethesda has decided to hold back on copies, telling critics that the game won’t be available until it launches this Friday. This news might come as alarming—perhaps a bad sign for a game that’s long been in development hell—but there’s no need to jump to conclusions. Holding back review copies isn’t an uncommon practice. Some publishers, especially when launching games with a big focus on online multiplayer, do it all the time. Blizzard, for example, rarely offers early access to their games. Games like StarCraft II and Diablo III weren’t available to reviewers until their servers went live on release day. Other online games, like Destiny, didn’t go live until the day before they came out, which is why we took our time with that review. While it’s certainly possible that Bethesda is holding back because they’re putting out a clunker and they want to prevent bad reviews, it wouldn’t be fair to assume that. We’ll find out on Friday nonetheless. Also, in case you’re wondering: For over two years now, Kotaku has been on Bethesda’s blacklist because of our reporting on Fallout 4, Prey 2 (which we’ll probably see at E3), and Doom, among other things. So we weren’t going to get an early copy anyway. (We heard about this from friends at other outlets. IGN has talked about it publicly as well.) We’ll buy the game ourselves and do our best to cover it fairly and honestly nonetheless.